As fall approaches, we get excited by the prospect of cool weather, warmly colored trees and the festivities that come with Halloween. However, selecting a comfortable Halloween costume for your child on the autism spectrum can sometimes be more of a trick than a treat. 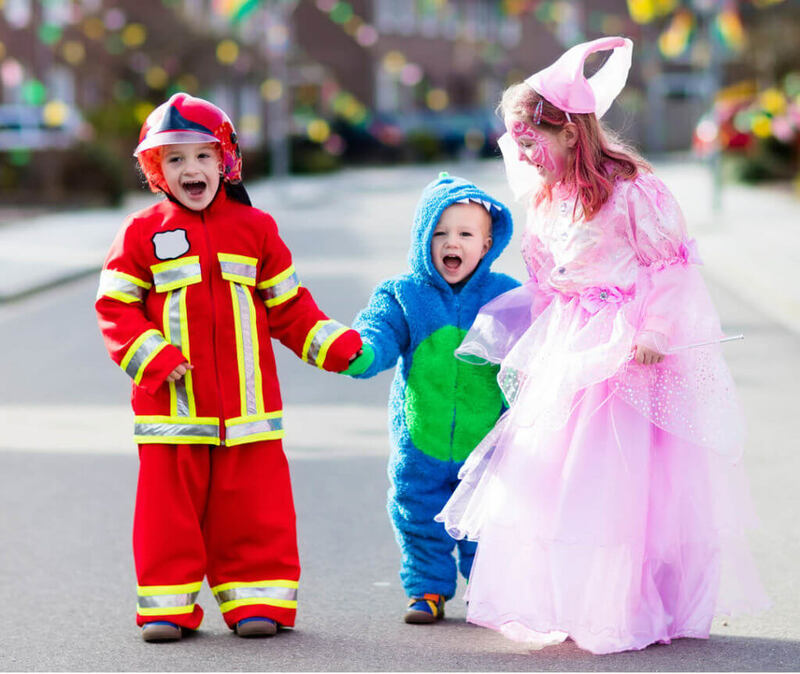 When selecting a costume there are three helpful things to keep in mind: types of fabric, the interest of your child, and how your child will react to wearing a costume, as well as seeing others in costume. What do you do when your child has a favorite superhero, but the costume is anything but sensory friendly? Try decorating a regular t-shirt with fabric glue or a hot glue gun. You can also decorate comfy pants to match. Another option is to create your costume using clothing made from jersey fabric. The jersey material will be thinner than the t-shirt material so be mindful when applying glue. When deciding what kind of costume to make, it’s a good idea to start with whatever your child enjoys the most. Is it Baby Shark? Outer space? ABC’s? Creating a costume tailored to your child’s specific interest will be both fun and highly-motivating for them. Finally, preparing your child to wear their costume and see others in their costumes can be a difficult task. Familiarizing them with the Halloween festivities beforehand is a good way to ensure things will go smoothly. If you have any costumes around your home, show them to your child. You can also show your child pictures and videos of people in costumes or read them a social story about Halloween. It may be Halloween, but choosing a costume doesn’t have to be scary!